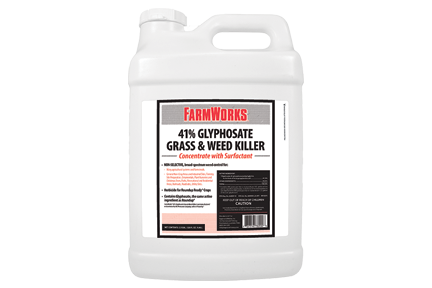 This nonselective herbicide contains the same active ingredient as Roundup®. It is a great weapon in the fight against more than 150 varieties of invasive weeds, brush and trees. To put its broad-spectrum control to work for you, just mix with water and spray on unwanted growth. Affected plants usually show symptoms within 2–7 days and are killed in 1–2 weeks.